We are developing the Caltrain Business Plan! Caltrain is one of the busiest commuter rail systems in the country and demand for our service is growing. 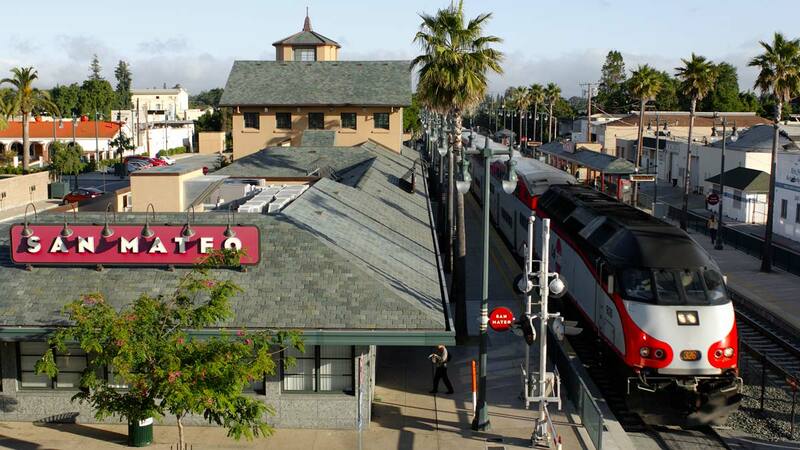 Caltrain already provides a convenient and cost effective alternative to driving, connecting more than 65,000 passengers a day to jobs and housing in San Francisco, San Mateo, and Santa Clara counties. In order to support a changing region and meet future demand the system will need to grow. The Caltrain Business Plan is a joint effort with agency partners and communities along the corridor to plan for this growth. The Business Plan will help us develop a better understanding of the region’s future transportation needs and will identify opportunities and strategies for how the Caltrain system can help. Why think about the future of the corridor? Electrification of the Caltrain corridor is already underway and will allow Caltrain to run faster, more frequent service while reducing noise and emissions. Electrification also creates the potential for expanded Caltrain service that will meet the current and future needs of our region. The Business Plan will identify the best strategies for maximizing this potential by developing a long-term service vision for the corridor, defining the infrastructure needed to support that service vision, and identifying opportunities to fund the implementation of these improvements. Electrification of the Caltrain corridor is underway and will allow Caltrain to run faster, more frequent service while reducing noise and emissions. Electrification creates the potential for expanded Caltrain service that will meet the current and future needs of our region. The Business Plan will identify the best strategies for maximizing this potential by developing a long-term service vision for the corridor, defining the infrastructure needed to support that service vision, and identifying opportunities to fund the implementation of these improvements.